Many thanks for all your great entries for our 2nd challenge complimentary colours! It was easier than it looked wasn't it lol! I hope you might have learnt a little bit from looking at colours and will stride forward with added confidence and know why things might not look quite right and know how to fix them, a dot of another colour can instantly balance a card! 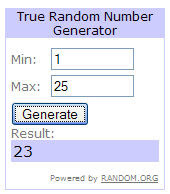 Well Done to Snooptigger (Catherine) Please email me with your details so I can post your prize! Well Done ladies and here is your blinkie! Onto our 3rd challenge which is again sponsored by the delightful Joanna Sheen who is offering a £10 voucher to her online store which is FREE P&P worldwide on most items! Joanna has quite a few new bits and bobs such as the new promarker colours and is currently offering a mega deal on all of the new colours, 56 pens for £69.99 making it £1.25 per pen! 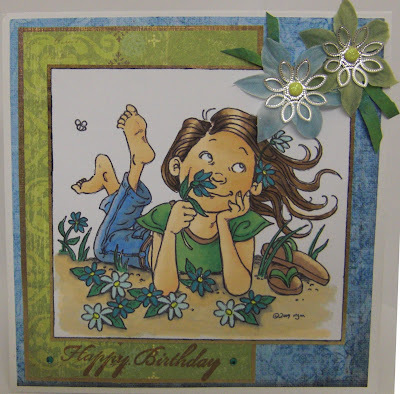 Also check out her new favourite flowers range of stamps including wild roses and dancing poppies! Our next challenge is an easy peesy sketch. Follow it quite literally or put your own spin on it! If you've never come across a sketch before here is a link to a sketch tutorial. Here's our sketch, remember the "flower" embellishment can be anything such as stars etc. Post your entries below or email them by 12 noon GMT 21st September. Have fun! The card is all from my stash, the background paper is from Joanna Sheen which I ran through the Cuttlebug using the Curls and Swirls folder. 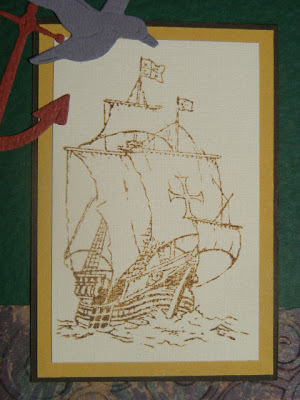 The boat stamp is from Stamps Away and the Sentiment stamp from DoCrafts. The die cuts were sent to me ages ago by a friend. Stamp - Aspects of Design 52 - Japanese Plum Blossom, White card for base. Orange, Green and Purple card. Whisper pens, Waterbrush, Spotty ribbon sticker, Silver peel off - sentiment (coloured with peels off pens)Rub on Gems from stash. I made this card following the sketch provided, I used a blue card and used orange paper which I ripped along the edges using my ruler with a jaggered edge - I only had one blue flower so i coloured the other one in !!! I didnt have a blue and orange sentiment either so i printed one on publisher - the image is a Sarah Kay one. I added the little stars as i thought the card did not look finished. I am very happy with this card, and i feel that doing this blog is actualy helping me with my cards big time. Thanks for looking everyone. 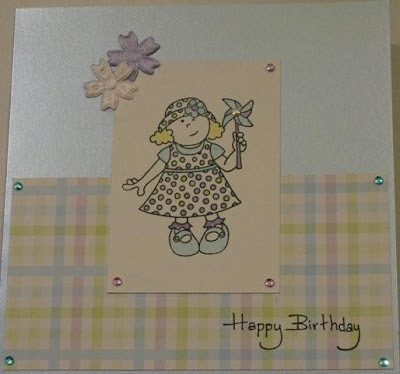 I started with a coloured deckled edge card, not normally my thing I always use white or cream cards. I chose the paper I wanted from a forever friends stack and then cut to size, I stamped the image, which is from a set of paper nation stamps I bought and have hardly used. I coloured in the stamped image with metallic pencils. 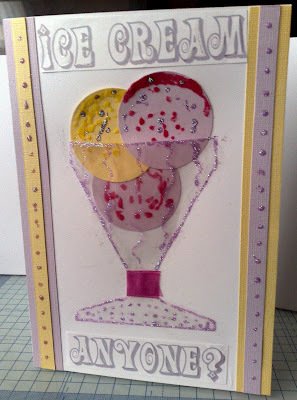 Finished the card of with a Happy Birthday stamp and jewels. I find a sketch gives a great starting point for any card. 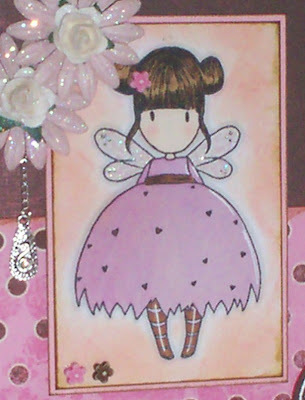 Sugar Nellie gorjuss girl stamp, coloured with promarkers, glamour dust added to the wings and distress inks used around the image. Used both sides of a double sided paper by My Mind's Eye - starburst 'little blossom' dots/ brown, with coredinations cardstock, all edged with distress inks. Flowers and roses sprinkled with glamour dust and a little charm on a chain added to the back of one of the flowers. 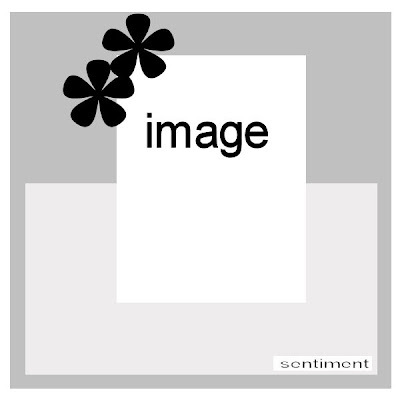 Circular sentiment stamped in clear ink and embossed in white, cut out with nestabilities circles. Finished off with some tiny flower beads, including one in her hair. Here is my Challenge Layout #3 from the Sketch. I loved working with this sketch. It was simple but so effective for a beautiful page. I used Websters Pages paper, so I couldn't go wrong with that. I used a 5X7 photo. My layout is 12X12. I used lace and some Prima flowers, punched some butterflies and layered them with pearls in the center. Very easy! I love how this layout turned out. 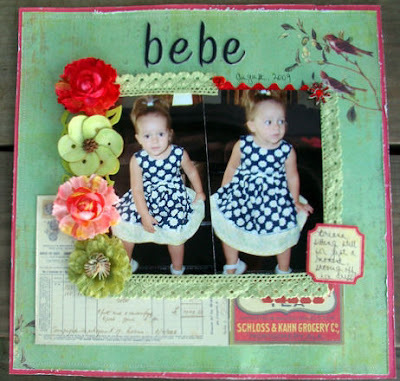 Rowena's name might be familiar if you hop around blogland - She is on the design team for Sugar Nellie, Quixotic Paperie & Stamp Something and has been past/guest designer on Pile it on and the Delicious Divas. Her work is very distinctive, you will notice how awesome it looks but look closer and you'll see she uses mainly little scraps of paper and general bits and bobs and a lot of imagination! 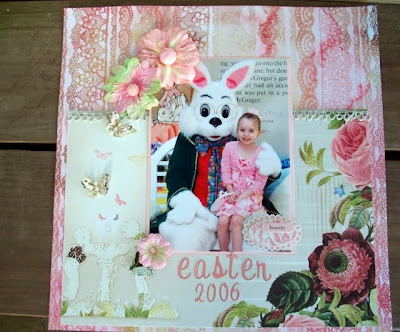 A very popular technique in cardmaking is 3d decoupage. It is available widely as pre printed sheets and you will often see step by step ones where they contain the whole image and various pieces of the design such as this sheet (Transport decoupage by La Pashe) below. This makes starting 3d extremely easy! If you have dexterity problems there are now even "pop out" sheets available so no cutting involved making it a popular technique for many cardmakers newer and more experienced. 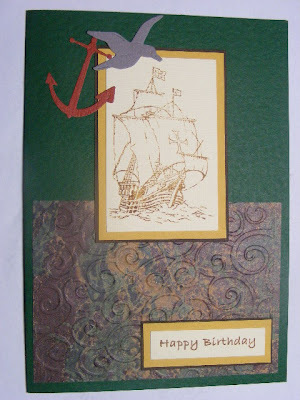 Many newer cardmakers start with 3d decoupage sheets and may move onto stamping. That doesn't mean you can't use them anymore, there are some beautiful designs available that unless you're an expert at colouring you can't replicate so intermix them with your stamping, make custom backgrounds to go with them or mix and match them with other techniques. Its also quite theraputic to sit down and cut out your designs ready for use on a rainy day! So how do you make them 3d? It tends to be a personal choice, most people use either silicone glue or 3d foam pads which are small squares that come in varying thickness (usually 1-2mm) There are clear foam pads now available but I haven't seen them yet! TIP! For smaller areas you can cut the foam pads to size! You build up your designs in layers as the decoupage sheet pic shows above and simply add your silicone or foam pads to the back and layer them on top of each other. 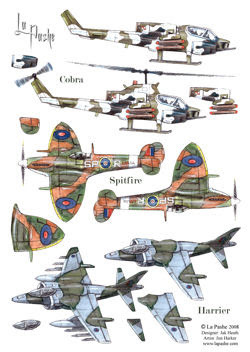 Most designs are between 2 and 5 layers. If they have a greater number of layers I tend to use a lower thickness in foam pads (1mm) otherwise they do get very bulky! For 2 or 3 layer designs I use 2mm. Here's an example of a 3d decoupage design on a freebie sky background I printed out. This shows the layers between the design using foam pads which aren't visible when viewed on the front. 3d is not limited to pre printed sheets either. Many stampers use it in their work to add that extra dimension. The difference is that YOU need to decide which bits are 3d! Many crafters struggle with this but its soooo easy! Look in front of you now. You'll probably see the keyboard with the monitor further away. Imagine taking a snapshot so you would have the base layer as the monitor and add to your design with the keyboard being the top layer as its nearest to you, look at the image and decide which parts are nearest to you and start with the ones furthest away, see Simples! Others make areas of the design 3d just to give some depth like this below (Image is by Victoria Case Art Designs) The image is a digital stamp and I have copied the flowers and printed a sheet of them out (so I can use the flowers elsewhere too!) This adds some depth as the fairy is clearly sitting behind the leaves at the front. Below is another example of stamping 3d. Firstly I stamped the floral design and coloured in then stamped again and cut out parts of the image and mounted these with foam pads so some flowers and leaves are further back and some are nearer the front giving the image some depth. If you've never tried 3d before either as printed sheets or used with stamping have a go! It brings a whole new look to your work! Many thanks for all your fabulous entries for our first challenge Blossoms! I will announce the winner of the Joanna Sheen £10 voucher later on today in a separate post (Don't forget its free P&P!) Thank You for your support Joanna! We also have blinkie awards for our favourite top 3 for each challenge which will be coming up later too. Their names might seem familiar and a quick look at their site and you'll say "Oh yes its them!" 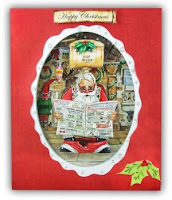 La Pashe are the producers of the very famous Flippin' range of decoupage and the beautiful "Remember when" series. They'e taken decoupage to the next level and made it not only 2 sided but extremely comical and loved by many. Their Remember when series is loved by young and old. 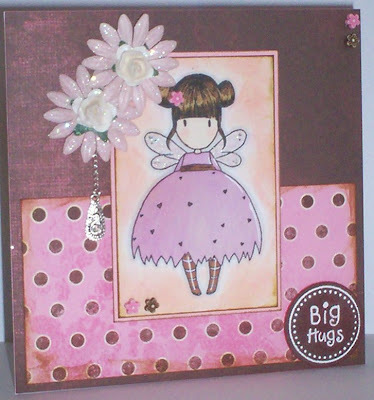 Stop by their websites La Pashe and Cardmaking with Imag-e-nation to check out their full range including the cuttlebug range and the Top Score Multiboard. Thank You La Pashe and Cardmaking with Imag-e-nation! Our challenge this time is the use of Complimentary colours. These sit opposite each other on the colour wheel. If you're not familiar with them or want to remind youself then check the colour theory post here. It is a magnolia pony watercoloured with Whispers pens. 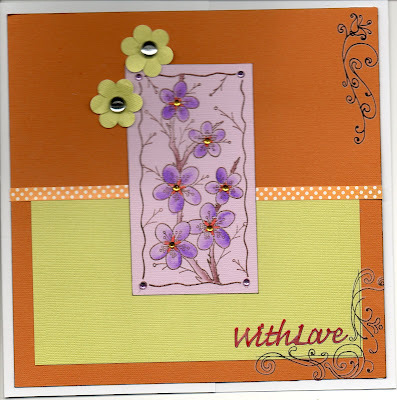 The BG paper is from Pocket full of Posies (DCWV). 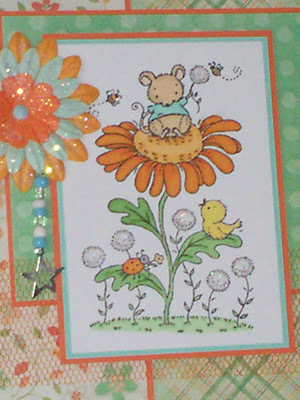 The violet card is embossed with the Cuttlebug using the Swiss Dots folder and the Green is punched with an EasyCut Craft Geo Punch (Daisy). 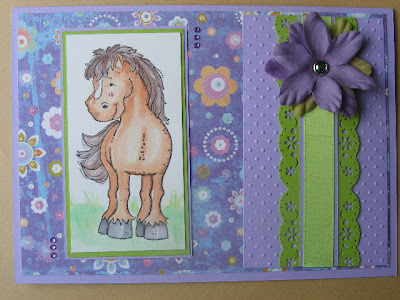 The card, ribbon, flower and brad were from my stash and the bling dots were from Dovecraft. I used a tall pink bordered glitter card and added one of the larger green gingham pieces of paper in roughly the centre of it with double sided tape, then I added one of the ladies in pink using 3 strips of the thicker double sided tape and then put 2 bits of Sellotape Foam pads on top of that. I added a pink parcel at an angle in the left top corner and a 2nd one in the centre at the bottom which was also at an angle. I used textured paper in pink, light brown and green acetate, the stamp is an Anya ?? I have added the dots which i have thousands of now in every concievable colour, I tend to do this when I like something new - the green ribbon i had to put on twice as on the reel it looked lovely but once on the card couldnt see the colour at all. 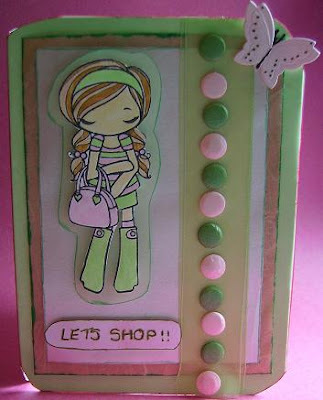 I started my card with a blank white square card, again I used papers from "Hot off the press" and cut the green background sheet to size and stuck it on with a glue roller, then the pink and layered it on the top. 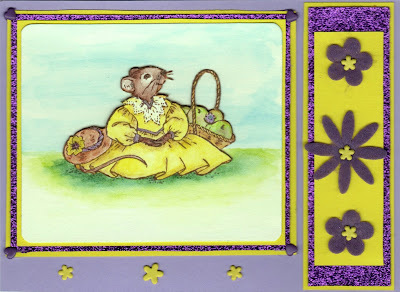 Next I stamped the image onto a white piece of card, coloured it in using Jelly Roll pens and then cut it out. 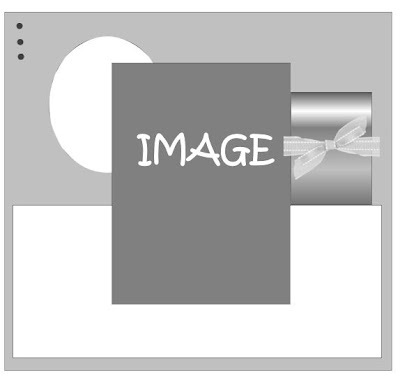 I purposely stuck the image to one side of the card in order to put the green check ribbon down the otherside. I used a rub on sticker onto a brad and placed the brad at the top of the card. The card seemed to need something else which is why I stuck on the little gems. An easy card to make, any questions please ask away. Tina Wenke Stampavie stamp, coloured in with promarkers and with a little glamour dust added. The papers are from the My Mind's Eye 'bloom & grow' pack with coredinations cardstock. I've added a strip of tulle that I've coloured orange with promarkers. The flowers are held together with a little brad and then I've sprinkled them with glamour dust. The brad is also holding the little beaded charm on - I threaded a little star charm and some coloured beads onto some jewellery wire, made a loop and attached it to the back of the flower. I have used a colour combination I would never have done before. 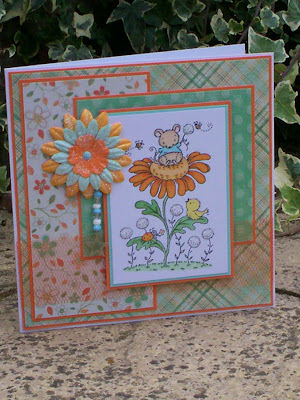 I have used a sketch by Di Hickman Sketch July #2, it is well balanced and has a nice mixture of elements. 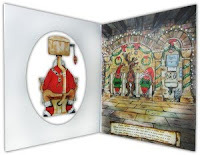 The main card is a sheet of A4 card folded to A5 size. The yellow spotted paper is HOTP. All the other papers are textured handmade ones which have come from various sources. 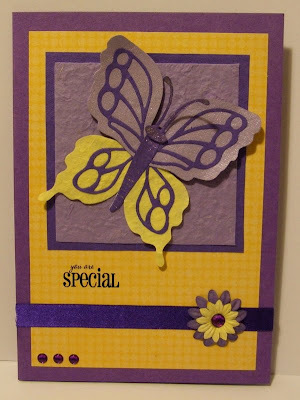 I have used a Sizzlits 'Build a Butterfly' die set which has all the separate elements to make your butterfly. I have had them for about 18 months and it is the first time I have used them. I have added a little glitter with a clear Sakura pen. The flowers are Prima daisies, the gems are from Poundland, ribbon from stash and the rub-on is from a Let's Make Cards pack. 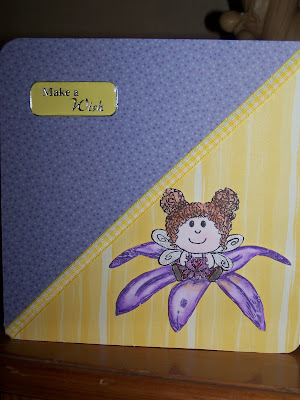 Stamped the flower using purple whispers inks, coloured it in using water colour pencils, stuck it onto the card using foam pads then I stamped the fairy using stazon. Coloured the wings and dress using sakura stardust pens, water coloured the face, hair and shoes. Mounted her onto the flower by taping the lower half of her body and a foam pad to give her head stability. The greeting is an acrylic greeting tile placed on yellow card. Finished the card off by rounding off the corners using a corner punch. I used the Red and Green combination. I really like how it came out, but wasn't sure how these Complimentary colors would work together. It is surprisingly pretty! I used Bazzill Cardstock in a red and the patterned paper is just something I had in my rather large stash. 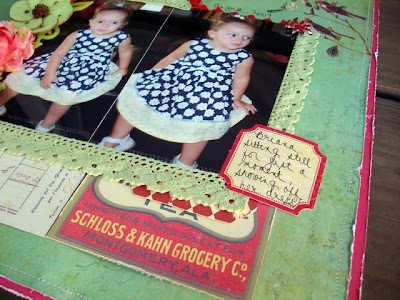 I added a bunch of vintage looking labels and postcard, also in my stash. These had red in them and Prima flowers in shades of red and green. I have used - Cute Companions Especially For You Stamp Set by Jayne Nestorenko, which I stamped twice. One I left uncoloured and the other, I coloured in using Aquacolor Crayons. On the uncoloured image I added sky and grass. The cut out the coloured one and decoupaged on the background. I matted the image on to Yellow and Purple glitter paper and added purple heart brads to the corners. Using the same papers, as I used to on the main image to create a strip with I then braded 3 flowers on to. I then mounted both of them on to lilac card and added 3 brads under the main image. For this challenge I chose a Red/Green combo that ISN'T Christmas! The image is by Sugar Nellie and is called Fragile Beauty which I coloured using copic markers. I rubbed some adirondack ink around the image and the oval with some cut n dry foam and drew in faux stitching with a black sakura glaze pen. Adirondack lights inks are really nice to use as they're subtle and build up colour. The background papers are from a set I have, maker unknown so maybe someone can enlighten me! The large flower is coloured with starburst stains in maidenhair fern green and a HOTP great big brad added. The red flowers are from stash, I just cut off most of the stem and curled the remaining stem underneath. And now let me introduce our special guest for this challenge Lilian Tan. She is very well known in blog land for her amazing colouring using copic markers and the airbrush system. She is also a designer for The Sugar Bowl and has been a guest designer for Sugar Nellie, Belles n Whistles, and A spoonful of sugar and now us! I used ollyfant stamp (in the garden) coloured it with whispers pens,plain green & pink card from papermill, used x-cut cutter (oval) template my corner punch to make the scallops, butterfly was from papermania and scallop punch from stampin up , a circle punch an peel off. I’ve used pale pink & pale green to compliment each other. My stamps are Penny Blacks & the card is finished with a broad ribbon, a silver heart & some punched flowers – with a blob of glossy accent to make them like iced gem biscuits!!! As a new cardmaker (or even an older hand!) you may have come across the term "sketches" You may have seen a "Sketch challenge" on a forum or challenge blog and may have even been put off by thinking it involves drawing! Don't worry you wont be the only one! Sketches DON'T involve drawing unless they specifically say so which is rare. 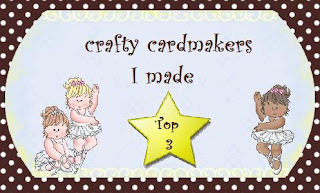 They were regularly used for scrapbook layouts but more latterly have crossed over into cardmaking and very welcome they are! They are very good for ideas on how to lay out your designs and eventually you will find favourite sketches, if you have particularly enjoyed a sketch why not draw it in a notebook so you can quickly reference it when your mojo leaves the building! This is an example of a sketch you might see and below I will show you how its composed. Next there is a little square next to your main image, this can be added later or in this case I have done a rectangle and the image will sit over the top of half of it. Then there is a circle below the image, add this. I would often stick this to the back of the image first then lay it down. OK that was easy peesy! On the original sketch you may have noticed 3 dots and a bow. These will be your embellishments. You can use sticky gems or flowers or something quite small for your dots and the bow would normally be a ribbon but hey its YOUR interpretation! The image below follows the sketch but is turned 90 degrees. As will ALL sketch challenges it is absolutely fine to turn your sketch whichever way suits you (and your stash!) Its also a pink/green complimentary! When taking part in various challenges I often combine challenges with a sketch from one and a different challenge such as a colour one from another. Please check the rules of the blog before combining challenges as a rare few will not accept combined entries.